At the first Sunday mass following Thursday's publication of a surprising interview with Pope Francis, most parishioners heading into mass at L.A.'s Our Lady of the Angels Cathedral said they agreed with the pope's call for the Catholic Church to focus more on serving the poor, and less on speaking out against homosexuality, contraceptives and abortion. Los Angeles is home to the largest Catholic diocese in the US. The pope discussed his positions in a lengthy interview, saying he is a son of the church, but "it is not necessary to talk about these issues all the time." "… I see the church as a field hospital after battle," the pope said. "It is useless to ask a seriously injured person if he has high cholesterol and about the level of his blood sugars! You have to heal his wounds. Then we can talk about everything else." 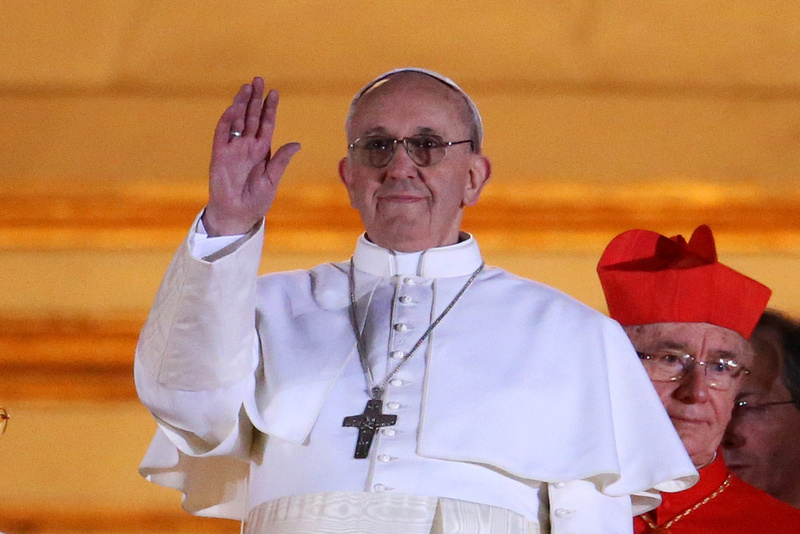 Screenwriter Daniel Waters called the pope's message a step in the right direction. "What the pope seems to be saying is, 'Just lighten up.' I think that’s a great thing," Waters said. "Everyone—atheists, agnostics, Catholics—we have so many things in common. I don’t understand why we don’t concentrate on that, instead of the idiosyncrasies we don’t have in common." The pope also said the church should focus more on love and less on enforcing strict dogma. Retired middle school teacher Ken Roth said Catholics who have left the church are now thinking about coming back. "I am very happy that the pope has changed the tone of the church where he’s not, 'You shalt do it and go to hell.' God understands us and works to heal us," Roth said. Roth, who converted to Catholicism four years ago, said he’s saved a newspaper clipping of what the pope said and he will refer to it in the future. "He doesn’t deny that these things may be wrong to the church, but he says have love for the sinner and don’t judge him and don’t throw him out," Roth said. But not everyone welcomed the pope's message. Parishioner Jose Hernandez criticized the pontiff's remarks about homosexuals. "We have to have mercy for these people, but I don’t accept them," Hernandez said. Can the Catholic church attract new adherents with the Internet?